Click a county below to see services and local contact information. We do offer limited services in some surrounding counties. 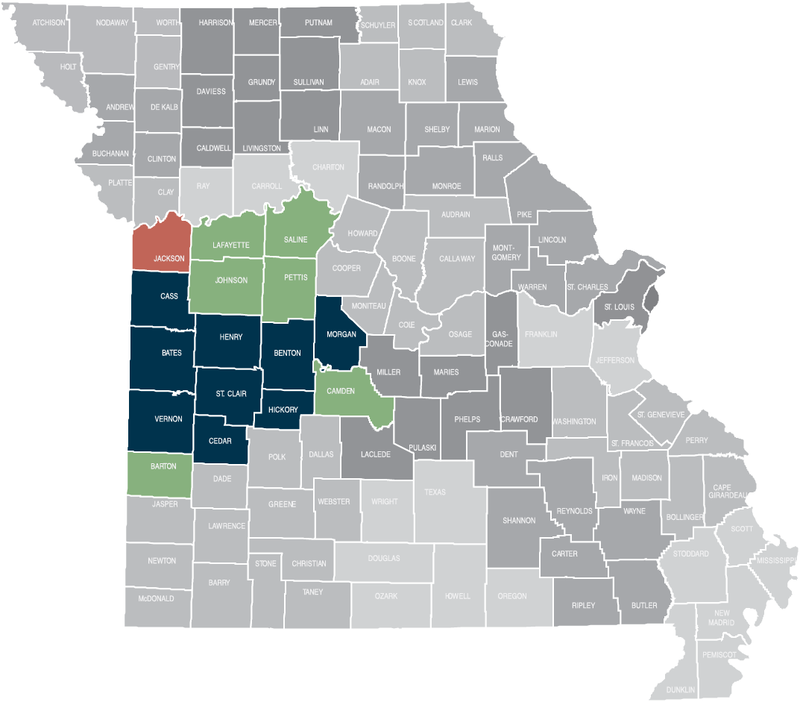 To see a map of all Missouri counties with links to the Community Action Agencies that serve them, check the Missouri Association for Communication Action.